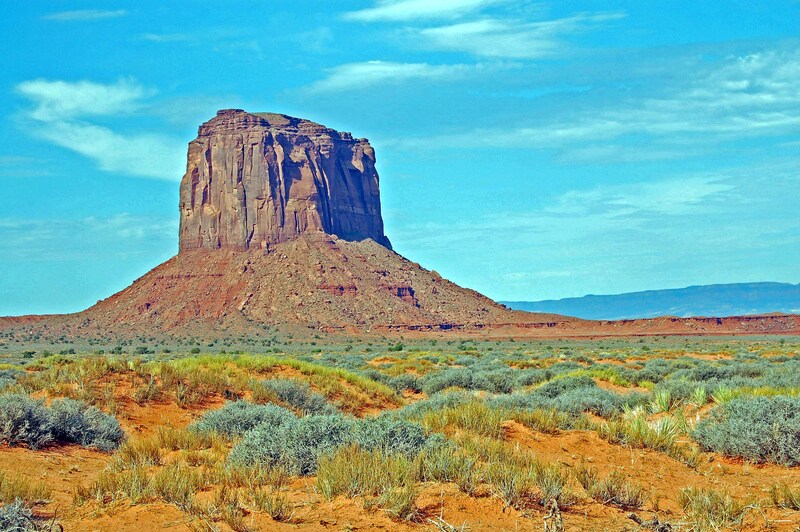 Likely one of the most photographed landmarks of the American Southwest is Merrick Butte in Monument Valley, Arizona. 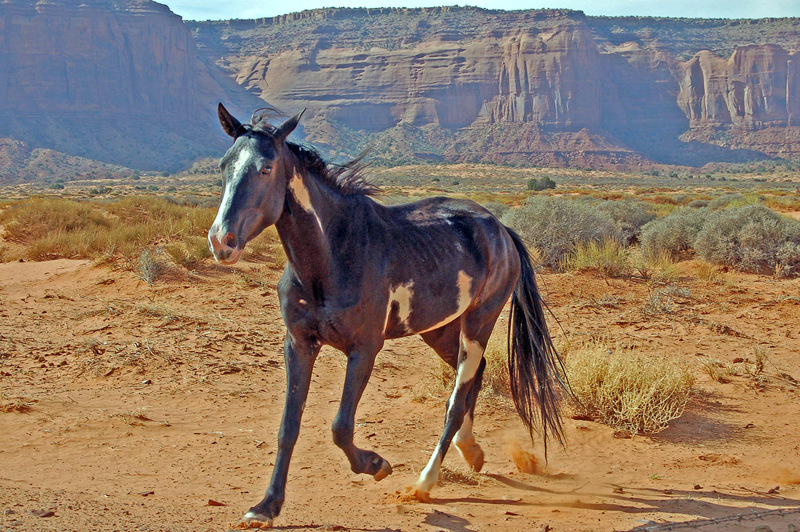 As a follow-up to my previous post of the Mustang, I wanted to share another landscape of this beautiful country where such wild horses roam. This region of the U.S. is one of my favorite places, and I had no idea how incredibly colorful it was in my earlier years seeing it in black and white on John Ford films and TV westerns. I made this image in 2006 during a family vacation and have always liked the rich, saturated orange, browns and yellows in contrast with the baby blue Arizona sky. July 25, 2006. My first car was a 1968 Ford Mustang — a classic by the time I owned it when I was in college. I loved that car and hated to part with it. Years later, while vacationing in the Southwest with my family, I came face-to-face with the source of my first car’s model name. Yes, the wild Mustang. She came out of no where along with a few of her friends while we were driving at a sight-seeing pace near Monument Valley in Arizona. I stopped the car and jumped out with my Nikon D50 and began firing off the shutter.These beautiful, spirited animals circled us and our rental SUV for a few moments and then were gone as quickly as they came — ghosts in the dust. This shot, I thought, captured the grace and splendor of this fine horse and the magical moment it had for me and my family. July 25, 2006. Near Monument Valley, Arizona. Nikon 55 mm, F/10, 1/250. Copyright © 2012 - R C Norman and "In My View". Unauthorized use and/or duplication of this material without express and written permission from this blog’s author and/or owner is strictly prohibited. Excerpts and links may be used, provided that full and clear credit is given to R C Norman and "In My View" with appropriate and specific direction to the original content.